On November 13, 2013, I reflected on two years of publishing. It took me this long to put up because there is really a lot to reflect on, which is why this post is so long! I’ve been in the publishing business longer than two years. Really I’ve been preparing for a lot of my adult life to publish my own books. After completing my journalism undergraduate, I went to Toronto to complete a publishing programme. 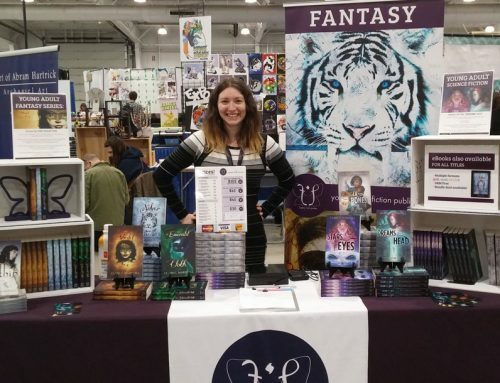 There I made lots of friends and connections, worked for some publishers, and started freelancing. Eventually freelancing became more full time, and I moved to Calgary to be with Dave. 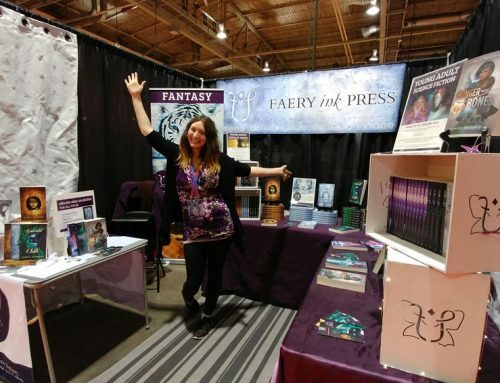 And in 2011, I decided that the time had come to publish my own books, and make Faery Ink Press more than just a dream. It’s kind of hard to believe that I’ve published three books in two years. How did I do that? Well, my first book, Within, I’d written a draft the year prior in the 3 Day Novel Contest. When I actually came out and decided in like April 2011 that I wanted, for sure, to publish my own books, I looked at the manuscripts I had available, and chose this to be my first published book. I had others that would’ve been more suitable, and perhaps would’ve made me a stronger debut, but there’s something about the Within story that is quite subtle and I thought that people might appreciate. Plus, it’s set in Halifax, a place I know well, and many have since told me how exciting it is to see places named–Spring Garden Road, the Commons–that are familiar to them, and how terrifying I made them. Fun fact: the editor I hired for Within was Helen Marshall, (no relation) who was working with me at ChiZine Publications at the time. She’s now award-winning author. One of her books, Hair Side, Flesh Side, I actually worked on, and it was nominated for an Aurora award and was shortlisted for a British Fantasy award. So that’s pretty cool! Yay Helen! After Within, I decided the next book I wanted to publish was something a little closer to what I actually really enjoy reading: YA fantasy. So I pulled The Violet Fox from the memory vault, and wrote that. I had bits and pieces written already, but it took me about nine or ten months to get all done. Then rewrites, edits, this time by Calgary editor Rachel Small, and released that. I say that so blase but I guess that’s how it is: it’s a process. The Violet Fox, everyone seemed to love. And continues to love. It definitely has more appeal than Within, which is more mature. Once The Violet Fox was out, I realized, oh no, what do I publish next? I knew that I wanted something smaller–The Violet Fox was a huge project, and I didn’t know if I could do up a sequel within a year. So once again I searched my vault of novella ideas, and brought out a few ideas…and then stumbled upon the Sparkstone series. I had the prologue written for that months ago because I intended to publish it as a serial, but realized it would make a good next project. So in maybe 6-7 months I put that together, and Stars In Her Eyes was put out into the world May 2013. With those three books, I could really justify calling myself a science fiction, fantasy, and horror publisher. Not just author. Publisher. Not only do I create the stories and spin the words to make them accessible, but I also do my best to bring them out into the world. Because being a publisher, it’s like being a mother. Once you give birth, you have to take care of your offspring, or they’ll die. It’s very easy for books to die, to fade into obscurity, like a painful never-ending starvation. Okay. That’s the sentimentalist in me speaking. As a businesswoman, my books are products that need to be sold so I can make my money back. So you can see, I walk a fine line being both the author and the publisher of my works. This I did all this year in 2013. You can read about my experiences here, here, here, and here. Overall, this really increased my influence and I gained a lot of social media attention, especially because of C4Con (despite its shortcomings). It’s also helped me to establish myself as a “real” publisher and has showed people that I’m serious about participating in the publishing community on a professional level. It’s also at these cons that I got Richard Hatch’s (Battlestar Galactica fame) and Walter Koeing’s (Chekov from Original Star Trek) attention as well. Next year I’ll be for sure attending KeyCon (Winnipeg) and When Words Collide (Calgary) again, and I’d love to go back to Hal-Con if I can get space. I think it’s important to do an American con as well–it would be awesome to do Emerald City OR World Fantasy. World Fantasy is probably more likely, although that’s more of a publishing networking con than an actual go-and-sell-things con. Faery Ink Press is not what pays the bills around here. I actually earn my living from my freelancing business. In the past two years I have built a list of recurring clients that keep me busy. I’m pretty proud of that. Considering that I don’t receive any sort of financial assistance–business grants, personal, or otherwise…and I have student loans…yeah. I live rent-free, that’s pretty much how I was/am able to run my businesses. That will probably change next year as my partner and I are seeking to buy property. It’s not easy relying on fluctuating income. There have been times where I’ve worried about my choices, but overall–this is what I want to do. Thinking about getting a “real” job and commuting and carrying out other people’s goals–it just creates this uncomfortable friction within me. Why would I do that when I have so many goals, so many desires of my own? Why would I go into a field that I hate to waste away my years? Time is the most important commodity we have. It cannot be re-earned. So I have no regrets in that department. I literally started from nothing. No one knew who I was. Now I have more than 750 likes on Facebook and more than 1200 followers on Twitter. Maybe not as much as some of my other author friends, but then again, I’m not just an author, I’m branding myself as a publisher. So I’m pretty pleased with that. It’s only going to go up. Distribution Problems. I’ve written about this a couple of times before, but being in Canada is a downside when you use CreateSpace as your printer, which I do for Within and Stars In Her Eyes. I order them at wholesale and sell them through my website, and also at conventions. So while this saves me on having a million bajillion boxes of inventory, it also means it’s more expensive per unit to purchase–and let’s not even talk about the cost of shipping from United States to Canada. Shipping Is The Worst. The publisher is responsible for the shipping. Pretty much always. Gotta ship the books to the store, gotta pay to get them shipped back. Same if I were to ship them to a distributor’s warehouse. Shipping is VERY expensive in Canada. It’s not too bad to ship single copies of Within or Stars In Her Eyes because they fit through the letter slot. But The Violet Fox? Forget about shipping that for less than $10. Yes, you read that right. Shipping The Violet Fox–especially across the country–can cost me $15. That’s like…almost 75% of the retail price. That’s because it doesn’t fit through the letter slot and I have to mail it as a parcel. Anyway, that’s one of my main frustrations with publishing. It really just gets to a point where you have to ask yourself–is this economically feasible? And that’s where I’m stuck right now, and it makes it hard for me to move forward in the distribution side of things. I’ve thought of really amping up my direct sales–but that’s a project in itself. People want to go to bookstores and buy my books. How many times have I been asked, can I get this in Chapters? Seriously, more people want to go to a bookstore and buy my things than go to Amazon/online. Or buy them from me, in person–this is the case with a lot of family members/friends. I could really rant about this all day, and it is very frustrating for me, but I think in the end I just have to make a decision. I know that I can end my own stagnation. The Acceptance. I always prepare for a fight. Sometimes I will spend hours thinking of situations where people confront me with my choices. “Oh you’re self-published? That’s awful!” “What’s the matter, a ‘real’ publisher wouldn’t accept you?” “Your books aren’t real.” The last one especially. But I never, ever have to get defensive. My books speak for themselves. 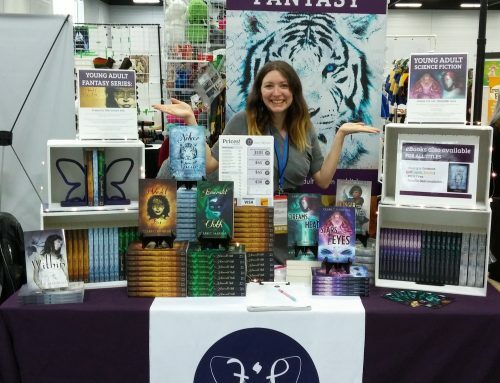 And when people ask me at cons, “Oh, are you self-published?” I reply, “I am the author and the publisher, yes.” (Personally, I believe the term self-published is redundant. But that’s a post in itself). 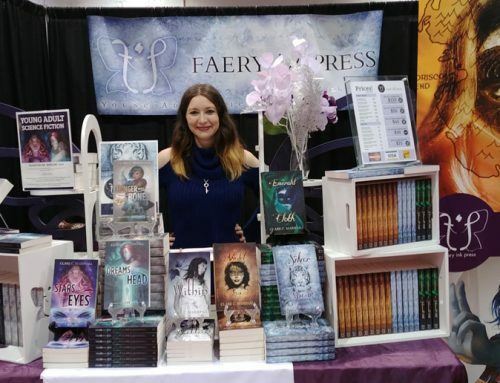 And then they’ll say, “Wow!” or “Cool!” Other times people just don’t realize or care that I am Faery Ink Press, which is okay too. It’s just such a relief that there’s been so many people accepting of my books. And liking them. And reading them. That’s probably worth more than any money you could put in my hand. 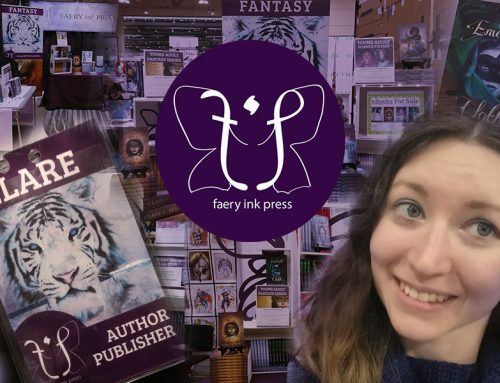 Now that I’m on my way to establishing Faery Ink Press as a brand, and established a publishing schedule, I’m going to spend the next year or so building up my catalogue. I’m going to publish three books. Every time I say that out loud, or write it down, a little part of me cringes. That’s a lot of work. I don’t really want to think about how much work that’s going to be. I’m just going to do it, because momentum is key. Another more general goal is increasing my distribution. Moving forward, for my offset printed books (ie, The Violet Fox series), it’s best if I have a distributor so they can theoretically get into as many hands as possible. I have had some independent bookstores approach me and express interest in my books, and I don’t mind distributing myself if I have to on a small scale, but it’s just one more hat, and I don’t really want to wear the distribution hat if I can help it. Like I said above, I think I just need to make a decision and jump into it because the only thing stopping me from moving forward is me. And really, that’s what you should take away from this post. That there were a lot of points in this two years that I could’ve said, no, I don’t want to do this, I shouldn’t do this–and stopped. Because a lot of things can and do go wrong in publishing, but ultimately my biggest obstacle is myself and my own fears. So here’s to another two more years of publishing! Hope to see you around. Thanks for following my journey.